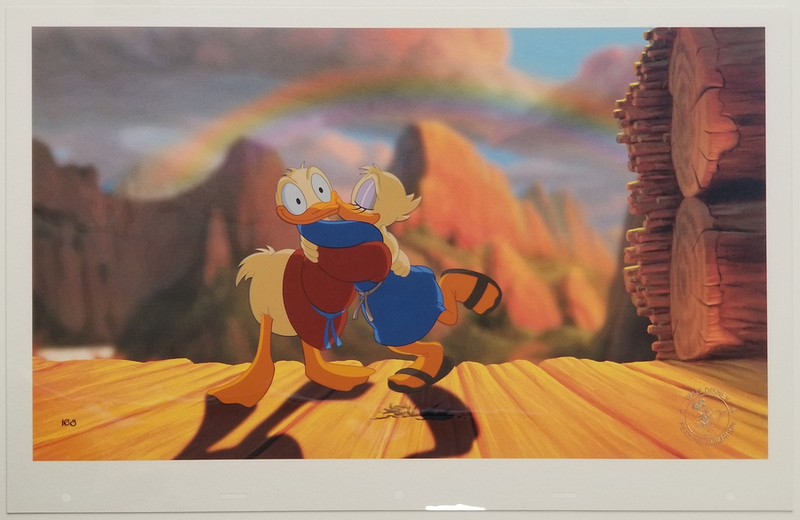 This is a great hand-painted limited edition cel from Fantasia 2000 (2000) featuring Donald and Daisy Duck from the Pomp and Circumstance segment. 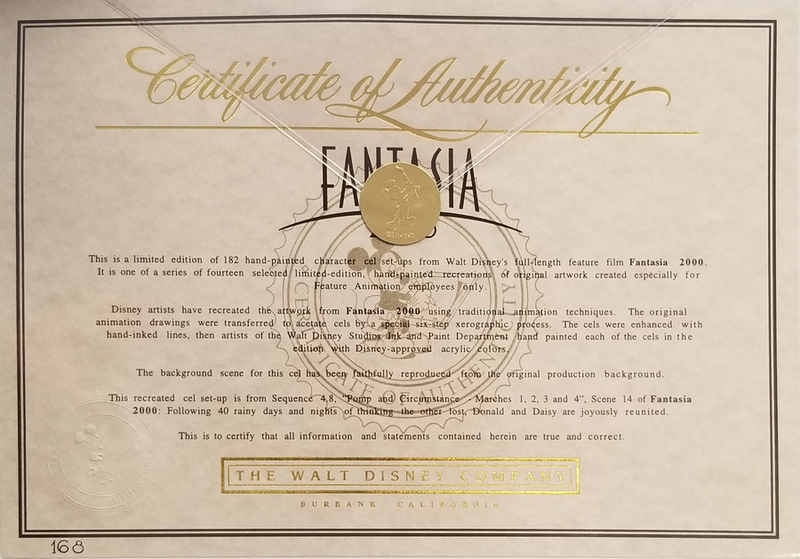 This limited edition was sold exclusively to Disney employees at the time of the film's release and the studio would only make as many of these employee limited editions as were requested by the staff working on the film. The setup is in excellent condition with a hand-painted cel over a studio printed reproduction background. 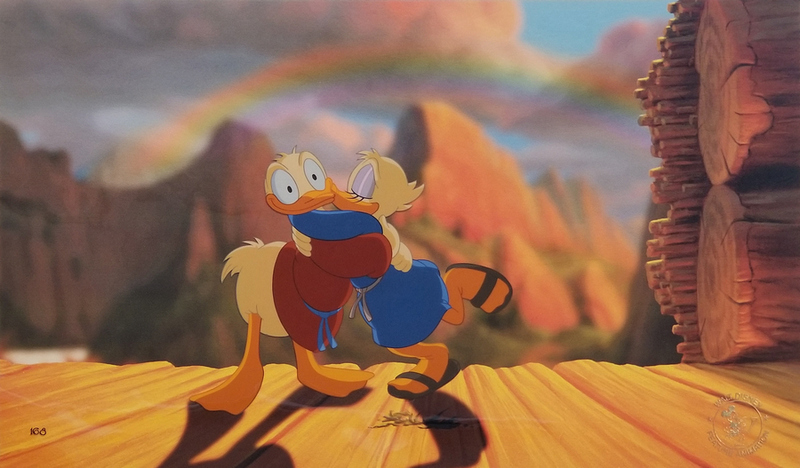 The overall image area measures 10" x 17.5" and the painted image of the characters measures 6" x 7".